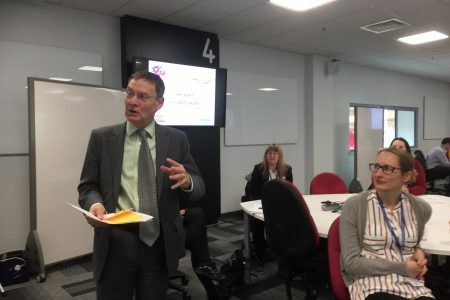 The annual Recruitment and Admissions Forum took place at the Hertha Ayrton STEM Centre, Sheffield Hallam University on 14th November 2018 convened by EPC Recruitment and Admissions Committee Chair, Dr Georgina Harris. Many thanks to SHU for hosting us this year (if you would like to discuss hosting in future, please contact us). This year’s forum focused on four key strands of admissions: attraction, recruitment, admission and retention. Each theme included both presentations and workshops, with time for discussion and sharing best practice. Plus, for the first time this year, we welcomed lunchtime delegate posters, where information on current and upcoming exciting work across each of these strands were showcased. The Forum started with the first of two keynotes this year: UCAS Director, Helen Thorne shared the latest engineering trends in UCAS data with us, including a look at offer making behaviours in Engineering. 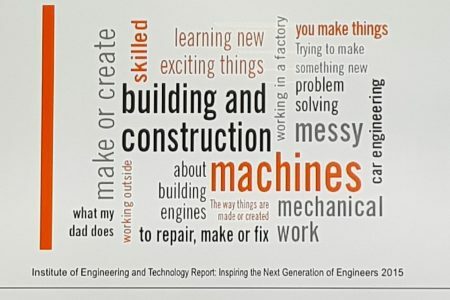 ATTRACTION: A dual presentation and workshop was led by Fran Dainty (STEM learning) and Dr Susan Scurlock (Primary Engineer) on what attracts a school student to study engineering (engineers in the making). RECRUITMENT: This was followed by a look at What’s so special about you? as Kathryn Jones (The Honest Marketer) led a workshop on best practice in standing out to potential engineering applicants. 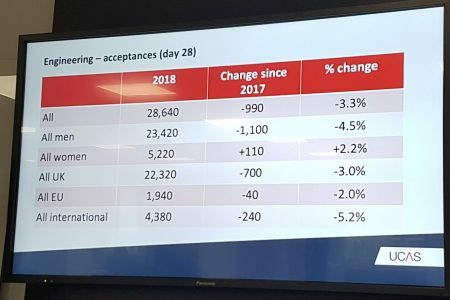 ADMISSIONS: Dr Geoff Parks (University of Cambridge) walked us through the River of Constant Change that is UK entry qualifications. 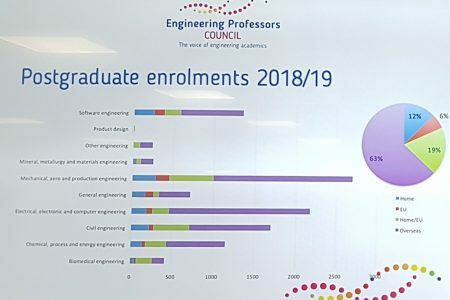 Plus, the results of the EPC’s 2018/19 survey of engineering enrolments, for both undergraduate and postgraduate taught, were then presented by Stella Fowler, EPC’s Policy and Research Officer. A data blog of the headline findings is available here. 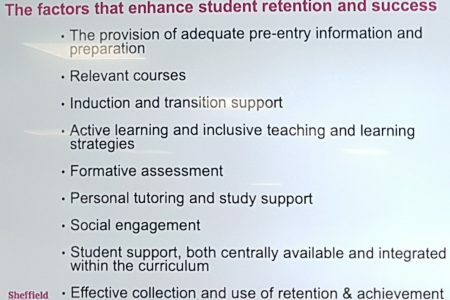 RETENTION: A presentation and workshop on how to keep a student through to graduation was presented by Professor Mike Bramhall (Sheffield Hallam University) and contributed to by all! 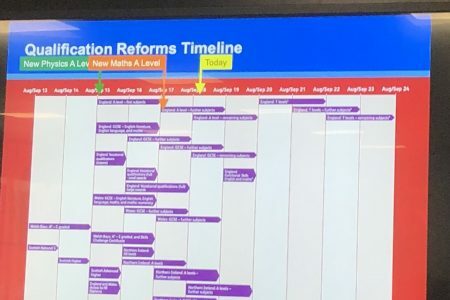 Finally our closing keynote speaker Sarah Howls (Office for Students) outlined the new regulator’s access and participation arrangements in the new HE environment in England. For delegates at the Forum only, the speakers’ presentations may be downloaded here (a delegate password is required). All members will shortly be able to access a summary of the results of the engineering enrolments survey in the members areas of the EPC website. If you have forgotten your password, please contact us.